Telesales can be a very effective tool for increasing sales, profits and customers. 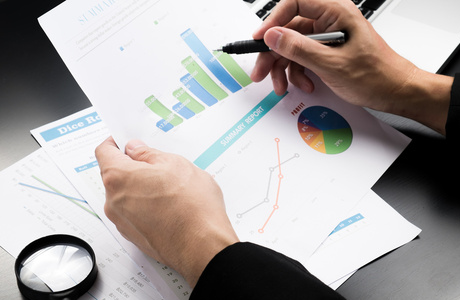 In terms of maximizing return on investment, there are four factors that need to be analyzed. Number of qualified leads generated. Number of leads converted into sales. Average ticket or sale per transaction in dollars. Number of transactions per customer. When it comes to business-to-business (B2B) appointment setting, the landscape of companies to choose from often seems limitless. So how can you find the right company to set appointments for your sales team? Choosing a company simply on price can work, but in the telemarketing industry, like many others, you get what you pay for. Also selecting a company based on price does not allow you to make an educated decision by uncovering the value that the company will deliver to your organization. Choosing the best company lies not in their price, but what they offer for that rate! Here are 10 questions you need to ask before hiring a B2B appointment setting company. 1. What is the company’s reputation in the industry? It seems like a logical first question to ask, but many people become so overwhelmed with the process that they often forget to ask! Dealing with a reputable company is the key to dealing with any business, not just telemarketers. Find out if they are a member of any consumer protection agencies such as the Better Business Bureau, and if the company has been featured in any publications in recognition for their work. 2. How much experience do their agents have? Again, a basic question that often goes unasked. So what if the company has been around for 25 years if their agents are fresh out of high school! In B2B appointment setting, experience is a must so find a company whose telemarketers have plenty of it! What also helps is if the company hires agents with outside sales experience. While it may not help or hinder an appointment setting campaign, it does help that the agents understand the value of a quality appointment. 3. Where are their agents located? Are they in-house or virtual? Do they work in the US or abroad? Each of these will offer your business an idea of the costs and qualities associated with a calling campaign, and the right choice may surprise you! Companies that have their agents in-house are often the most expensive companies as well because of the overhead of housing dozens of agents, computers, phone systems and more. Essentially this creates an atmosphere where you are investing into the daily operational expenses of that company and not the quality of the agents. In addition to that, companies located in rural areas are limited in terms of the agents that can commute into work each morning. 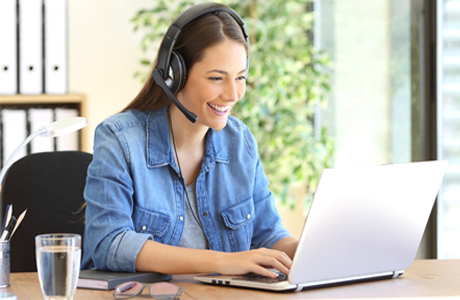 More and more, call centers are adopting a virtual model, meaning their agents work from home throughout the US or the World. This gives the call center the ability to find the best talent available, and since the overhead is lower, so is their pricing. A company that uses the virtual model should also use US based agents as opposed to outsourcing overseas; in sales, understanding the people and cultures that you are calling into is imperative to your success. 4. Does the company have any relevant experience or success stories? Finding a company that not only understands your product or service but has a proven track record with it is imperative to ensure the success of any campaign. Always ask for any case studies, letters of recommendation or references before signing with a company, and be wary of ones that cannot provide this information. Surprisingly in the B2B appointment setting industry, a company offering a guarantee on their service is the exception, not the rule. Many companies will promise the sun, moon and stars to gain potential business, only to over promise and under deliver, leaving your business with no appointments and a bill. To mitigate any risks involved with something such as an appointment setting campaign, you should look for a company that guarantees your satisfaction or offers a refund. Not only does this protect your company from a potentially failed campaign, but is also a good sign of the company’s track record for success. 6. What is the cost for a campaign? Again, there are a few different answers that can provide you with some insight into how the company operates and the inherent quality of the appointments set, and once again the correct choice may surprise you! Companies that charge on a per appointment basis will not only cost more in the long run, but may also provide your sales team with weaker appointments. An influx of weak appointments has the potential to create a mutiny between the sales team and the office over who gets what lead . The safer alternative is a flat rate campaign that charges on an hourly basis. With an hourly campaign, the emphasis is on providing an ROI and not inundating you with poorly qualified appointments. 7. Are there any additional fees? What is included? Many companies will charge a set-up fee in addition to the cost of their campaign; this fee generally varies between $250 – $850. But what is included for that price? Many companies will include setting up the account, training their agents and sometimes will develop collateral, all of which is important to the success of the campaign, but it leaves out the most important part – the calling list! If you are being charged for a setup fee, make sure that the list is included! Many companies leave out lists because they cost upwards of $0.10 – $0.30 per contact, and you will need a few hundred if not a few thousand to make a campaign run smoothly. 8. What reporting is included with the campaign? To help you understand the campaign as it progresses, you will want to make sure that the company will provide you with reports of all calls made during the campaign. Providing clear and concise analysis of the calls made will also help you to understand the strengths as well as any shortcomings in the strategy and adjust accordingly. 9. Can you listen to recordings? Depending on the area of the country that the company is based out of, it may be illegal to record any call for quality purposes. However, it is always a good idea to ask if call recordings are available should you have a question about an appointment, or would just like to see what your potential clients are hearing. A company that can provide this to you is worth their weight in gold and can help turn an appointment into a sale! 10. Who is responsible for scripting, sales strategies, training, etc.? Having knowledgeable agents calling with a clear, concise and powerful message is the cornerstone to any campaign. Their training as well as the sales strategy and scripts should have the utmost importance in order to ensure success and more importantly create a return on your investment. Is this something that is provided, or will you be spending countless hours potentially developing this material for the call center. It is strongly recommended that you utilize a company that can strategize the appointment setting process in-house or in conjunction with you. During this process, they can uncover a prospects potential pain points and implement proven tactics to get to the decision maker, overcome any objections and set the appointment.